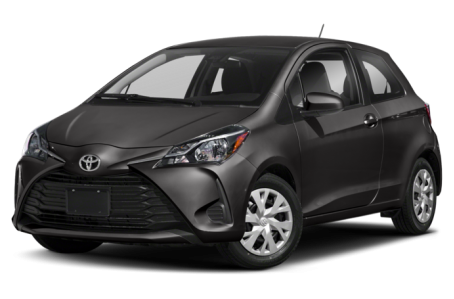 The 2018 Toyota Yaris is a subcompact hatchback with three- and five-door body styles. Both the three- and five-door versions have L and LE trims available, but the five-door also receives the SE trim level exclusively. Under the hood, the Yaris is powered by a 106-hp, 1.5-liter 4-cylinder engine mated to a standard 5-speed manual transmission or an optional 4-speed automatic. Estimated fuel economy ratings for the Yaris are 30/36 mpg city/highway (5MT) and 30/35 mpg (4AT).